Williams argues for a new chronology of the modern novel which emphasises the native multilingualism of the form over other thematic and periodical categories. 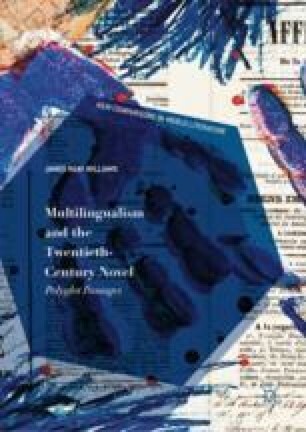 Drawing on recent perspectives on the linguistics of multilingualism, this introduction argues that our understanding of the novel must reflect the history of the multilingual as a shared human experience of modernity, of empire and of decolonisation: the notion of a monolingual literary form does not hold up to scrutiny in a multilingual world. If we acknowledge this fact, Williams argues, we can understand modernist experimentation as an engagement with the linguistic history of empire which inaugurates a century of multilingual writing in Europe and the Caribbean.